Spiritual head of the Islamic Movement in Nigeria, Sheikh Ibrahim Zakzaky says Boko Haram doesn't exist and is just created to cause chaos..
“Those protesting for the release of the abducted girls should direct their protest at President Goodluck Jonathan and Abubakar Shekau, for they are two of the same kind. 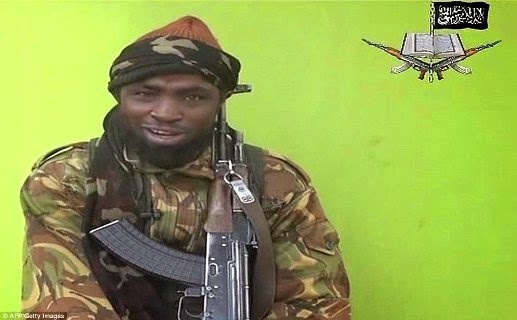 Shekau is presently kept safe in a secret military camp.The abduction was a plan to pave way for U.S. and Israeli military presence in Nigeria to balkanise the country and steal its resources. Let no one be fooled, there is nothing like Boko Haram! It is a covert operation to balkanise Nigeria and steals its resources, in the name of search of Boko Haram insurgents. If you can fool others, we cannot be fooled.”They realised there is gold in Zamfara and Zaria-Birnin Gwari; gold and platinum in Sokoto and Borno. They did it in Iraq, as they went in search of Weapons of Mass Destruction, which they never found but plunged the country in chaos. The same thing was experimented in Afghanistan before our eyes"